Update on Northwest Wine Encounter - Write for Wine: It's Wine O'Clock Somewhere!Write for Wine: It's Wine O'Clock Somewhere! Reservations must be made by May 10, and new pricing packages are now available for people living nearby who don’t need overnight accommodations. Live in the Seattle or Vancouver area? This one’s for you. Great for locals; please have a designated driver, take a taxi or Uber, or use transit options for this and the next two packages. Here are the details about the weekend event, also updated from our previous post. A winemaker reception, educational presentations with tastings, and a gala dinner will be held to celebrate these acclaimed winemakers and their wines from Washington, Oregon and Idaho. Here is the list of participating winemakers. Carrie & Earl Sullivan, Telaya Wine Co. The gala dinner will be a collaborative effort among Whatcom County chefs, including Gio d’Aquino and Jacob Hodgson of B-Town Kitchen & Raw Bar; the five-course dinner will feature local roasted lamb loin; lavender-spiced duck breast; and spiced rum-poached pear for dessert. All courses will be paired with wines from the event’s participating wineries. We had the pleasure of attending the first two Northwest Wine Encounters, so we can personally attest to the experiences awaiting you this year. 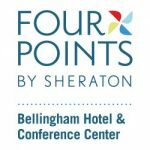 Reservations can be made through May 10 by calling Four Points Bellingham at (360) 671-1011. For more information, please contact srao@dsvintners.com or (650) 270-8791. This entry was posted in Oregon, Walla Walla, Washington, Wine, Wine Events and tagged Dunham Cellars, Events, Four Points by Sheraton Bellingham, Northwest Wine Encounter, Pepper Bridge Winery, Reustle Prayer Rock Vineyards, Seven Hills Vineyard, Spring Valley Vineyard, Telaya Wine Co., Walla Walla, Washington wine, Washington wineries by Margot. Bookmark the permalink.